Samsung has revealed that its Gear S2 Classic 3G and 4G smartwatches, which were formally introduced last September, will be available in the U.S. on March 11, 2016. The new wearable gadget will be able to connect to the Internet without a smartphone nearby and will no longer be just an addition for handsets, but a completely autonomous device. It will also be one of the first devices to feature eSIM (embedded SIM) compatible with multiple operators. The US versions of Samsung Gear S2 Classic 3G/4G with eSIM are using the Qualcomm Snapdragon 400 SoC, and although there are many variants of the Snapdragon 400, it would seem this one is a dual-core Krait 200, although we are still waiting for confirmation on the matter. Known specifications show the device running at 1 GHz, coupled with Adreno 305 graphics and integrated baseband capabilities. The smartwatch is equipped with 512 MB of RAM, 4 GB NAND flash storage, 300 mAh battery as well as 3G/4G, 802.11 b/g/n Wi-Fi, Bluetooth 4.1 and NFC wireless technologies. The wearable gadget sports accelerometer, gyroscope, heart rate, ambient light and barometer sensors to enable various health/fitness tracking applications. 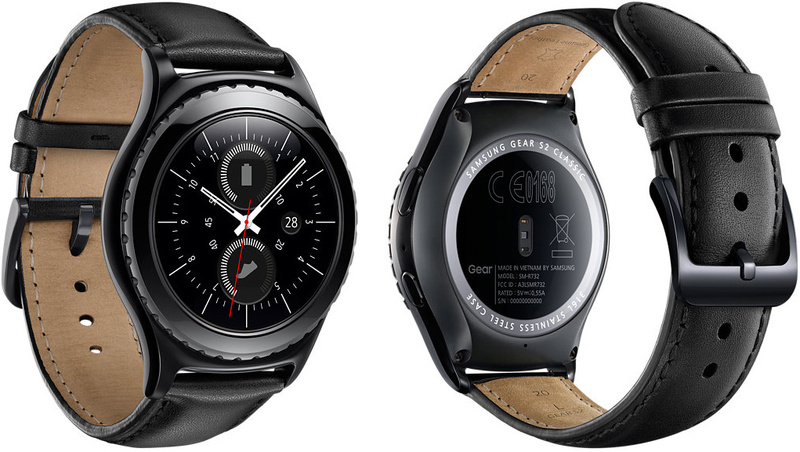 The Gear S2 Classic features 1.2-inch circular display with 360x360 resolution (302 ppi density). Like the rest members of the Gear family, the S2 Classic 3G runs Samsung’s proprietary Tizen operating system. The 4G variant is identical to the 3G variant, but for US markets only, and so it's still just HSPA+ rather than LTE. Unlike Samsung’s contemporary smartwatches without eSIM functionality, the Samsung Gear S2 Classic with eSIM models feature a speaker in addition to two microphones. The new wearable will be able to make calls, send text messages and emails as well as receive notifications without connectivity to any smartphone. While using the phone function of the smartwatch may not be very convenient (besides, a person talking to their watch seems a little weird), quick email bylines and responses on the wrist make a lot of sense. Moreover, the integration of eSIM into a watch is another step towards integration of certain smartphone functionality into wearable devices. The eSIM is a GSMA-approved standard for embedded SIM cards that cannot be removed from a device and which are compatible with multiple operators. In theory users can choose their preferred carriers, although in this case the standard only supports one carrier at a time and it's not clear if users will be able to change the one originally stored. 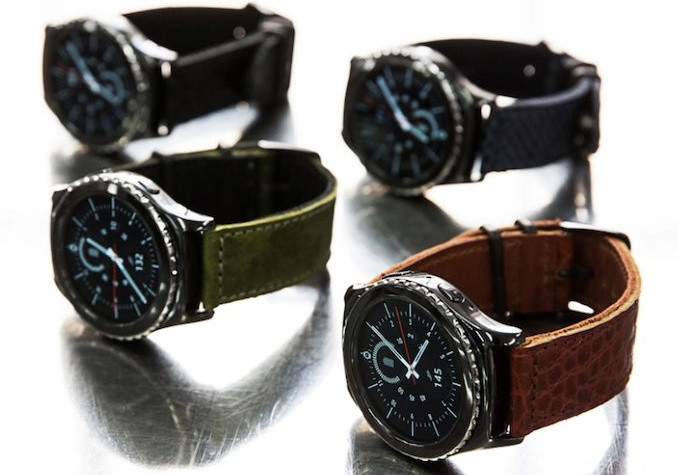 The Samsung Gear S2 Classic 3G in the U.S. will be compatible with AT&T, T-Mobile and Verizon. In other countries, there will be different operators: Samsung has worked with M1 Limited, Orange, Singtel, StarHub, Telefónica, TeliaSonera and Vodafone Group, so, the new Gear S2 Classic 3G will be available in multiple countries. The 4G variant will be available only in the US. Samsung has not yet announced an official MSRP for its flagship smartwatch, however Verizon has started taking pre-orders for the watch, pricing it at $399 off-contract, which amounts to a $50 premium over the regular Gear S2 Classic. eSim is a deal breaker. - how many "SIMs" can it contain? - what provisions are there for adding new SIMs to it? eSIM is basically modeled after CDMA's activation sequence, except all carriers that support eSIM all have access to the manufactures catalog of eSIM devices. If you travel to Indonesia, all that is required is you contact a carrier there that supports eSIM, or travel using a carrier that has coverage there. You contact the carrier and give them your eSIM "ESN" which like a regular SIM cannot be changed. The carrier looks up if it is registered with another carrier, and if it isn't they can activate it in their network. If it is registered, you either need to release it from your previous carrier, or perhaps the new carrier can release it for you by verifying some security information like the SIM lock code. Overall it's way better then dumping $5 on SIMs constantly, and eventually, if not immediately, you will be able to manage all of this through a carrier web portal.